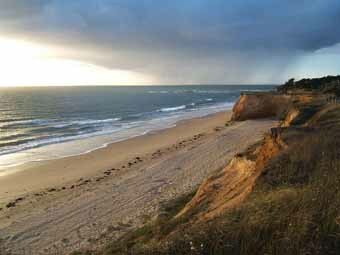 France beaches on the Atlantic coast have the longest golden sandy French beaches in France. There are less crowds than the Mediterranean, great waves for surfers and good calm French beaches for young families. Many French come here for their summer beach holiday. The air is cooler than on the Mediterranean with average summer temperatures in the low 70s. Whether on the Atlantic, Mediterranean, or the English Channel, a French Beach is considered the best in Europe. Beautiful, no huge crowds, great sailing and islands to explore. However, the weather can be unpredictable and not always warm. It is the coolest choice of all the Atlantic beaches of France. If you want the warmest beaches in France the French Riviera beaches would be a good choice. Another warm choice are French beaches in the south of France on the western Mediterranean. I love the Brittany France coast because I feel very close to nature. It's rugged and wild in some parts and calm and serene in other places, like in the coves and around the islands. The Golfe de Morbihan is the warmest and a popular choice. On the Gulf, the Beaches of Carnac and many islands offer beautiful wind protected coves for swimming, walking and sailing. North of La Rochelle, a beautiful unspoiled resort with lots of yachts in the harbor starts the area known for being kid friendly known as the Vendée. The beaches are long and sandy sometimes backed by a forest of pine trees. La Baule has the longest stretch of beach in Europe. 8 miles. 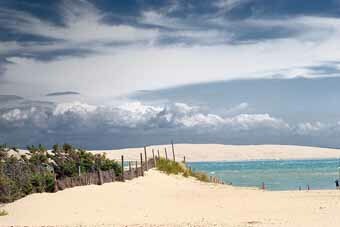 Ile de Re: Sandy, shallow beaches and lots of biking and hiking paths. St. Martin de Ré south to Royan great beaches. 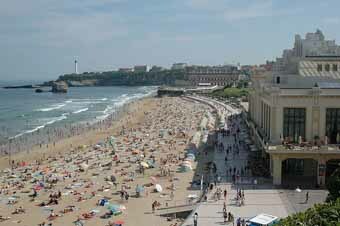 Royan has 5 beaches. 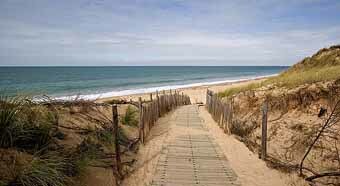 From the Gironde south to the Spanish border are long golden sandy beaches backed by forests of pine trees and pounding surf. This area is known as the Cote d’Argent or the Silver Coast. Very popular with the French for vacation. Great waves for surfing especially around Biarritz. On a peninsula near Bordeaux and opposite Arcachon. Ocean on one side, bay on the other. Peaceful and quiet. Surfing, swimming, fishing. Interested in exploring the French wine regions? The wine region of Bordeaux is a short drive from the coast. Favorite beach resorts are Biscarrosse, Mimizan, Contis. Finest surfing beaches in Europe. San Juan de Luz is right next to the Spanish border. This is Basque country. Cute fishing village and a beautiful small beach and beautiful Basque architecture. Year round surfing with plenty of surfing shops to fill your needs. Not a lot of parking so in the high summer it’s hard to find a place to park. There are many hotels and B&Bs on or near these Atlantic France beaches Or try your own tent camping in France. Camping in France goes beyond tents. 5 star campgrounds are like resorts with cottages to rent and swimming pools to swim in. Want to rent your own villa or house? 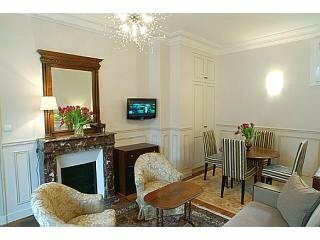 Self catering France is one of our favorite choices. Bordeaux - the city is a great place to explore French Culture. It is the center for the finest wine growing regions in France and only a short drive from the coast. What to eat: France food is the greatest. Here is a menu guide to help take the guesswork out of ordering. I promise to use it only to send you French Culture Lovers.